19" 27" 31" 39" 49"
30" 42" 48" 60" 70"
Electromagnetic clutch & brake ensure accuracy of bag sealing & cutting. Equiped with one printing photocell. 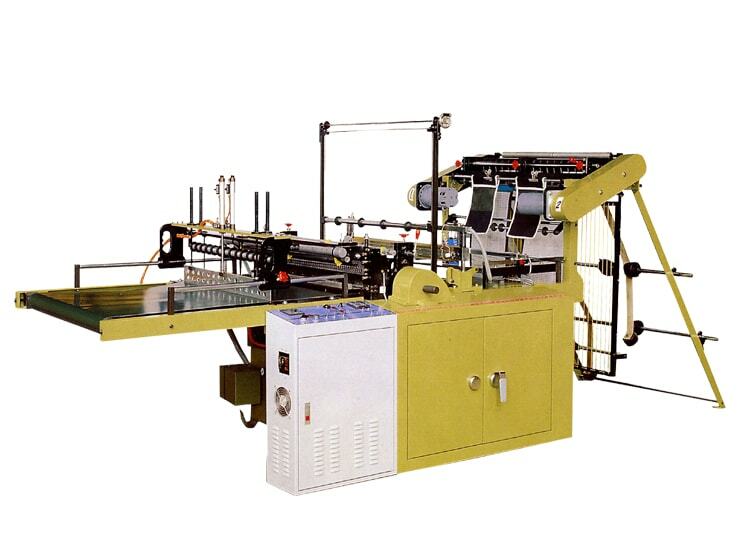 This machine is suitable for two line sealing T-shirt bag & one line sealing normal flat bag. This machine will stop automatically and alarming when the printing photocell fail, the bags stacked up on the cutting blade.